The exhibition Optik Schröder II presents a representative selection from the collection of Alexander Schröder. 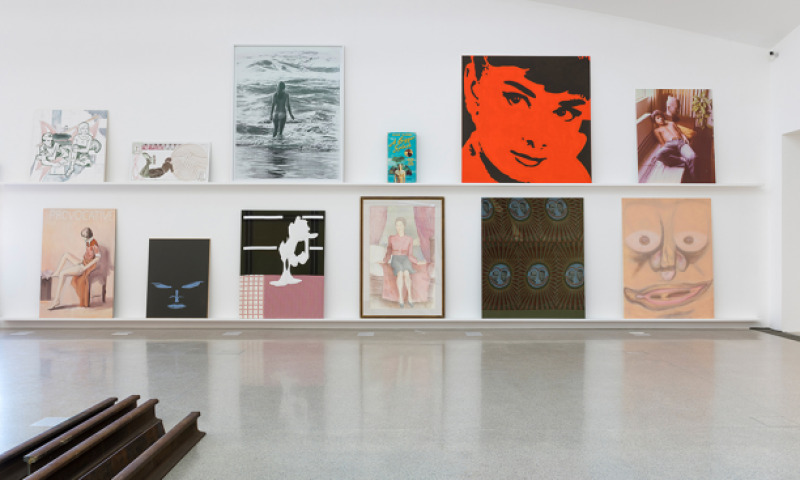 This includes important works by Kai Althoff, Tom Burr, Bernadette Corporation, Claire Fontaine, Gelitin, Isa Genzken, Anne Imhof, Sergej Jensen, Pierre Klossowski, Manfred Pernice, Martha Rosler, and Reena Spaulings, and is one of the most important German private collections of contemporary art. These works illustrate some of the key conceptual trends and positions in the development of Western art in the past three decades, including references to social issues, queer lifestyles, the critique of institutions and the economy, critical investigation of public spaces and architecture, poetry, and contemporary forms of critical painting. The prominently represented artists’ collectives exemplify endeavors to challenge and transform the traditional roles and systems of the artist, of art production, and of the sale of art. This comprehensive overview shows a collection built up consistently since the mid-1990s and based on close proximity to the artists and sensitivity for new developments. The collection illustrates an exemplary philosophy of collecting focusing on the nature of the contemporary, on curiosity, expertise, humor, independence, and outstanding aesthetic judgment.